The HD CCTV camera series provides TVI HD video solution for video surveillance. Work with AVTECH to customize your needs, and explore different unique features and spec-in fordifferent system applications, such as seamless recording and third party integration. 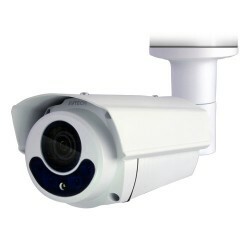 AVT543 HD CCTV 1080P Motorized Vari-focal IR Dome CameraKey Features• 1/2.8” CMOS Sensor w..
DGC1103AHD CCTV 1080P IR Dome CameraKey Features• 1/2.7” CMOS Sensor • 1080P video ou..
DGC1104BHD CCTV 1080P IR Dome CameraKey Features• 1/2.7” CMOS Sensor • 1080P video ou..
AVTECH DGC1205A Bullet HD TVI CameraThis AVTECH HD 1080p TVI 2MP 3.6mm Fixed Lens Bullet Security Ca..
DGC1304AHD CCTV 1080P IR Dome CameraKey Features• 1/2.7” CMOS sensor with 1080P video output•&n..
AVTECH DGC1103XTUser-friendly Camera Configuration via DVR OSDAVTECH HD CCTV cameras have their own ..
AVTECH AVT503SAAVTECH Authorized Dealer Jakarta - IndonesiaKarisma harcoHarco Mangg..
AVTECH DG104AXDG104AXHD CCTV 1080P IR Dome Camera FEATURES 1/2.9” CMOS Sensor 1080P video..
AVTECH AVT583HD CCTV 1080P20X IR Speed Dome Camera FEATURES1/2.8” CMOS Sensor with 1080P video outp..
AVTECH AVT1301HD CCTV 1080PPinhole Camera FEATURES1/2.7” CMOS Sensor with 1080P video outputLow lig..
AVTECH Authorized Dealer Jakarta - IndonesiaKarisma harcoHarco Mangga Dua Blok A 2 ..